Feng Shui for Valentine's Day. Top Feng Shui Tips for Love, Romance, Harmony. Feng Shui Tips for Attracting the Love you Want. It’s the top right corner from the door. But if you can’t do anything there because you have wardrobes, etc. – don’t worry, as long as you have some energies of love in your bedroom it will work virtually and holistically. Above all, your intention is the most crucial aspect of this process. The most important piece of furniture in your home is your bed. A wooden frame with a solid headboard and a good mattress without metal springs (ideally an organic foam mattress is best) should be changed every few years, but especially when one moves to a new home. Avoid metal beds, and metal spring mattresses which can amplify electro-smog. If you don’t sleep in total darkness and there is a bit of light in your bedroom, your melatonin production won’t work well, and you won’t sleep which will affect your health and mood. Wifi affects melatonin production so make sure you switch it off for the night – every night. Place your bed in a power position (in relation to the door and windows – see the chart above), making sure you have a view of the door as you lie in bed so that you can feel secure. If that’s not possible, place some reflective objects or a small mirror opposite the bed so you can see what’s behind you (if the door is behind you). If you have mirrors in your bedroom – round or oval ones are the best shape (see the tip on flowing lines and shape below). Position the mirrors so that you cannot see yourself when lying in bed. One problem when having a mirror in your bedroom might be – if you’re not sleeping in total darkness – that it would bounce light which would disturb the melatonin production which is key for good, healthy sleep. Natural materials such as cotton, wool, linen and silk are best. Avoid synthetic materials. Silk is sensual. Hemp has fractal qualities of keeping good vibrations. Have fun, relaxing and meaningful images and symbols around to remind yourselves and prime yourselves about what you want and what is important to you as well as the good times you’ve both had so far. A (matching) table on each side of the bed with lamps, etc., will create a balanced and secure environment for your relationship. If you like variety and difference, have tables that are not the same. Make sure that the table on the right side (when looking at the bed) is higher if they have different heights. Avoid work or work-related objects, anything that represents work, too many books. Ideally, bedrooms should be places for rest and love. But if, for whatever reason, your bedroom needs to serve another function, don’t worry. Just make sure that you have a clear distinction and separation between different modes of living and working. Have a ritual for going to sleep to shift into a sleeping mode. Research suggests that when people pray before going to sleep, they have a better sleep and are happier and healthier than those who don’t. Romantic pastels and relaxing colours are the best. Avoid blue or cold colours which can have too much of a calming effect. If you already have blue walls just add touches of red or pink, for example, a cushion cover, as a symbol of passion and ‘fire’ energy – however, don’t overdo it. The colour of 2019 is the living coral colour. Clutter is bad for relationships – it clogs your clarity and diminishes and stagnates your energy. Not to mention, it is stressful to look at it. Also, it can create dust and air pollution which can make you ill. Do detox on your wardrobes and draws. Keep it simple, just spend 5-15 minutes per wardrobe and ask yourself: 1) Do I need it, will I use it? 2) Do I love it? You know what to do next. Decluttering, especially during transition times is cathartic and therapeutic. I do the decluttering ritual on regular bases, around Xmas, New Year, Valentine’s Day, my birthday and equinoxes and solstices or any time I feel stuck and want some positive change. SBS includes geopathic stress (GS), electromagnetic fields (EMF) and dirty electricity (DE) – all of which can create a lot of electro-pollution in your bedroom. Keep electrical gadgets to a minimum and switch them off for the night if possible – as they will all create electromagnetic radiation which can affect how well you sleep. All these will create an uneasy feeling because subconsciously we feel unsafe when things are hanging above our heads. Position your bed away from these where possible. Or hang a light material like muslin, to conceal the beams. You can also, hang light objects such as balloons, feathers, paper mobiles to uplift the oppressing energy of beams. A very effective way of visualising what you want and your love values is to use vision boards. Vision boards work by priming your non-conscious mind to perceive, notice and grasp opportunities and what you want in life. Make a list of your top values for your relationship and find images to represent these values. If you can’t find images, words are enough to start with. Place you love vision board near your bed, so you can see it before you go to sleep to prime your subconscious mind. Review it from time to time – we change and so our values. It’s good to start fresh, on important transition dates, i.e. the New Year, birthdays, equinoxes and solstices to write them down again. The act of writing it down, primes your brain and your soul for what you want. Which side of the bed do women need to sleep? • Get a PIMAT – energy regenerator for your bed to boost your energy levels. • Helios3 – geopathic stress and electro-smog harmoniser will balance the energies of your bedroom further. Choose symbols that will enhance love, peaceful and fun relationships. Avoid solitary pictures, images, objects and stark landscapes as well as anything that potentially might be unfriendly such as cactuses, especially near the front door. Choose images of happy people, couples, animals, soft and romantic, uplifting scenes as well as round objects which symbolise wholeness and unity. 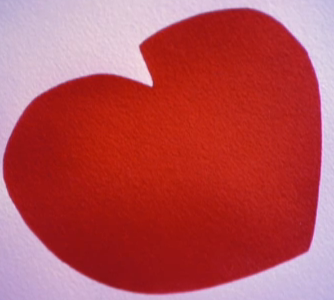 Everything you have in your love zone has semiotic connotations. Learn how to read them. Make sure that everything works in your love/relationship area, and you don’t have clutter there. In short, clarity and focus are essential for a harmonious relationship. The colour red (fire element) symbolise passion and love. Add small accents of red to your bedroom. For centuries red flowers and red underwear were used to fire our passions and love. However, candles are not recommended since they produce air pollution. Flowing, curvaceous lines and oval, round shapes – which encourage more harmony, romance and love – are preferred by most people (see my Environmental Psychology research into how shapes affect us). Square and angular/sharp shapes and edges create uneasy feelings and in feng shui are referred to as cutting energy or shar chi/energy. To add extra harmony to your relationship have some photos of you both together in oval or round frames – which have one unbroken line, like a wedding ring. Soft, delicate materials and furnishings are more relaxing than hard, shiny ones and use natural materials. Likewise, have lots of soft (e.g. silk) colourful cushions. The best way to keep the focus on what you want is to prime your brain for success with words and images. Represent your key values with words and even better pictures. There are hundreds of studies on the benefits of priming. Feng shui’s main function is to prime you for success with physical symbols and image. For extra anchoring effect, place the relevant images and symbols in the love/relationship areas of your bedroom, home, and even desk. Use meaningful images or photos as your mobile wallpaper. Images are one of the best ways to prime your mind for success. Even if you’re not in a relationship, use that day to contemplate what kind of relationship you’d like to have. Research (speed dating studies) suggests that people don’t know what kind of partner they want. Shared values are important and so is commitment. Also, attachment theory suggests that being with somebody secure, will make you feel secure and your relationship is more likely to be successful. 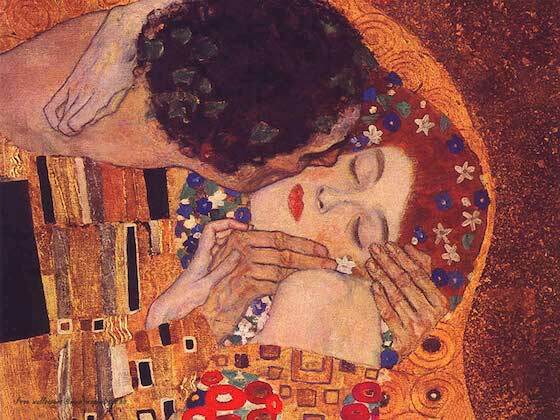 But start with yourself – work on feeling secure (read below about oxytocin). Otherwise, you will have doubts about your relationship and the other person. Write down what you want and what you don’t want so when you meet that person you’ll recognise them easily, and you won’t miss ‘the boats and helicopters‘. Keep your checklist somewhere near your bed so when you’re inspired to update it is near you and again priming yourself before going to sleep is one of the best times. You can use images or pictures instead of words – sometimes they can work even better than just words because they go directly to your right/emotional brain. Deepak Chopra’s tip for finding an ideal partner: “Become the person – you want to attract.” Love is a frequency and resonance. Read Rumi poem at the end of this blog. Or if you don’t want a relationship – think about the love you have for yourself. All love starts with loving yourself first. Studies suggest that doing new and exciting activities with your partner can rekindle the relationship you have. Unfortunately, research also suggests that the more you encounter something such as your partner, the less exciting you find it, so you do have to put effort to make your relationship work – work on your skill of loving – hence novelty is the spice of love life. Novelty and new, different things help to release dopamine which is the motivation and success hormone. What makes your relationship work and what is missing? Remember, the 80/20 rule (Pareto principle) which states that 20% of effort creates 80% of results. In relationships, if you follow that rule, you’ll have a fantastic rapport. If you focus on the 80% of the things that are working in your relationship (and put what is not working into the 20% department) – you’ll have a very balanced and harmonious connection. Physical contact such as hugging helps to release oxytocin – the love, safety and bonding hormone which is beneficial for stress levels, heart health, and more facts about the benefits of hugging. A 20-second hug reduces the harmful physical effects of stress, including its impact on your blood pressure and heart rate as well as mood. A 10-second hug a day may fight infections, boost your immune system, ease depression and minimise fatigue. A hugger receives just as much benefit as the huggee, but studies suggest the healthiest hugs come from a person you trust (as opposed to a stranger). 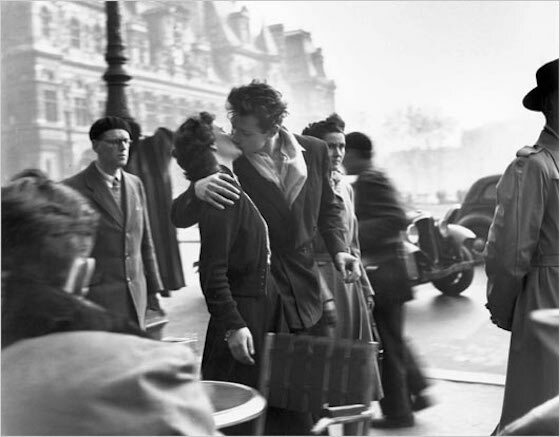 The neuroscientist Dr Tara Swart says, “We need a hug at least daily, if not several times a day, and generally speaking, the longer the hug the better.” Always ask for permission before hugging. “We need four hugs a day for survival. We need eight hugs a day for maintenance. We need 12 hugs a day for growth.” says neuroeconomist Paul Zak, also known as ‘Dr. Love’. Self-hugging is good too, when you cross your arms and rub your arms up and down – try the Havening technique. To attract love, new relationship and marriage there are several essential steps. Follow the most important feng shui tips and remedies, and you will be surprised how quickly you can manifest the relationship you want (as well as harmonising the existing ones). 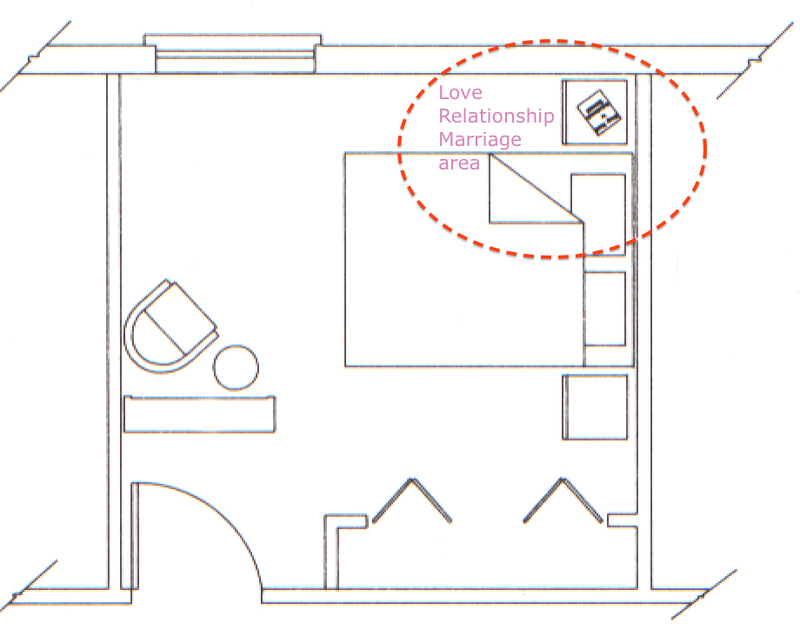 De-cluttering your bedroom will help you gain new clarity about your relationships, especially your love area according to the bagua model (top right corner in your bedroom – see above bagua model). Remove any images that represent you being single, e.g. single images or symbols of women/men. 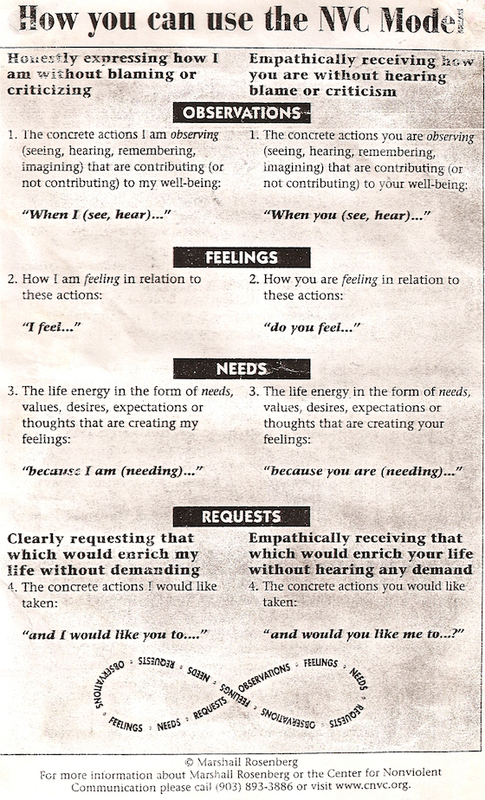 Add ‘couple energy’ i.e. pairs of ornaments, lights but not candles (they pollute air). Ask yourself, “Do I need it/will I use it? Do I love it?”Do space clearing to cleanse your home and open to new opportunities. Your home is a reflection and metaphor for your life and needs to support your emotional and spiritual life. Feng shui is the interior design which means you need to also work on your inner self, not just your physical environment. Declutter your mind and heart from the previous relationship or past unconscious patterns. Do tapping (EFT – emotional freedom technique) to let go of any negative or limiting patterns. Or just let go. Live in the present moment. Focus, action and luck are the three most important aspects required for attracting and manifesting a new relationship. Firstly, focus and writing down your new relationship checklist for the new relationship will give you focus and clear intention (see tip 1). Secondly, act, do something, anything – meet gods/providence halfway – put some effort and energy to shift your state. Feng shui = intention + grace/energy + ritual. Go out. Get a new dress or outfit or a new love symbol for your bedroom or home. Join a club or an evening class or go for a talk or workshop where you meet likeminded people. 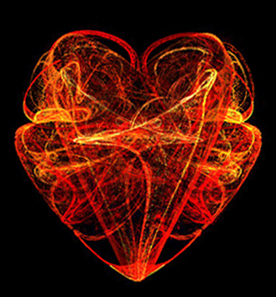 Change the wallpaper on your mobile phone on Valentine’s day – download this fractal heart image below and use it as a wallpaper on your mobile phone. And thirdly, you need luck or grace. If you want to boost your love luck factor get this book today: The Luck Factor by Richard Wiseman. The scientifically proven luck factor principles will change your life for better. Guaranteed. To sum up, know what you want, act and boost your luck factor. It has been observed that how some women decorate their homes can repel men. Winston Churchill summariesed it well by saying, “We shape our buildings, thereafter they shape us.” Check for too many images of single women. Also, any sharp objects (cutting chi) which might include cactuses near the door make the entrance and your home unwelcoming. Include the archetypical energy of couples such as two similar objects. Some ‘interiors therapists’ wrongly suggest removing books from the bedroom as if these could ‘squash’ him, which is plain nonsense. If not sure, ask a male friend to give you feedback or ask your feng shui consultant. Posted in Feng shui for bedroom, Feng shui remedies, Feng shui tips for love and relationship and tagged Feng Shui Tips for 2014 Valentine's Day, hYhOibrIkibMoguthA.